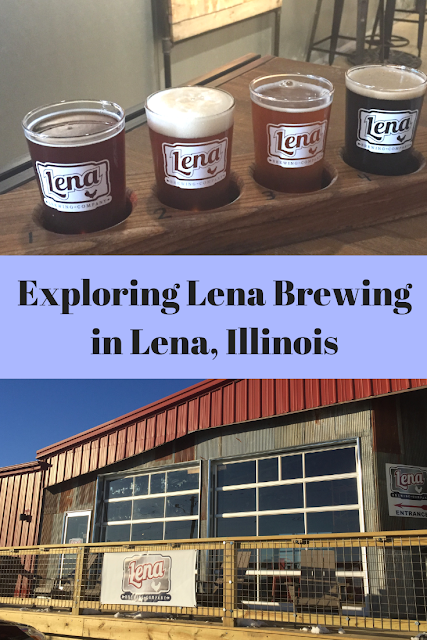 On the drive from Chicago suburbia to Galena a couple of weeks ago, we spotted an interesting brewery -- Lena Brewing Company. The brewing company is housed in a repurposed feed mill building, so we could already feel that Lena was unique and had community spirit. We were right! 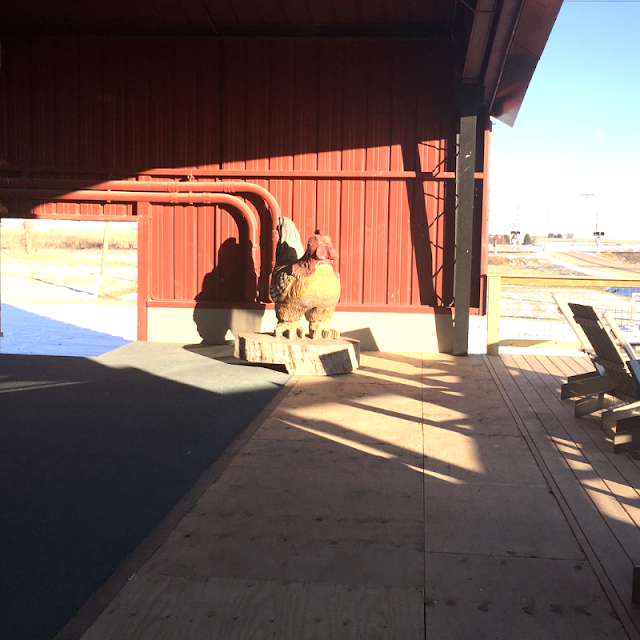 A rooster welcomed us and also honors the farming heritage of Illinois. We ended up stopping at Lena Brewing Company on our way home. We settled in and looked at Lena's selection of beer. All of Lena's beer is made on the premises. Each has quite an intriguing name as Lena believes: "Every beer has a story, and some are actually true." For example, one of Lena's beers is titled the Caramel Pecan Stout and features caramel, rich coffee and pecan notes. I honestly cannot remember the names of the beers we tried but we loved them all! My husband and I went for a sampler of four to share. We did end up coming home with a couple of bottles of the Workhouse Belgian Quad -- a Belgian dark strong ale that is no slouch like the workhorses of old! See, a story! Sampling Lena Brewing Company's beer --- choices, choices! 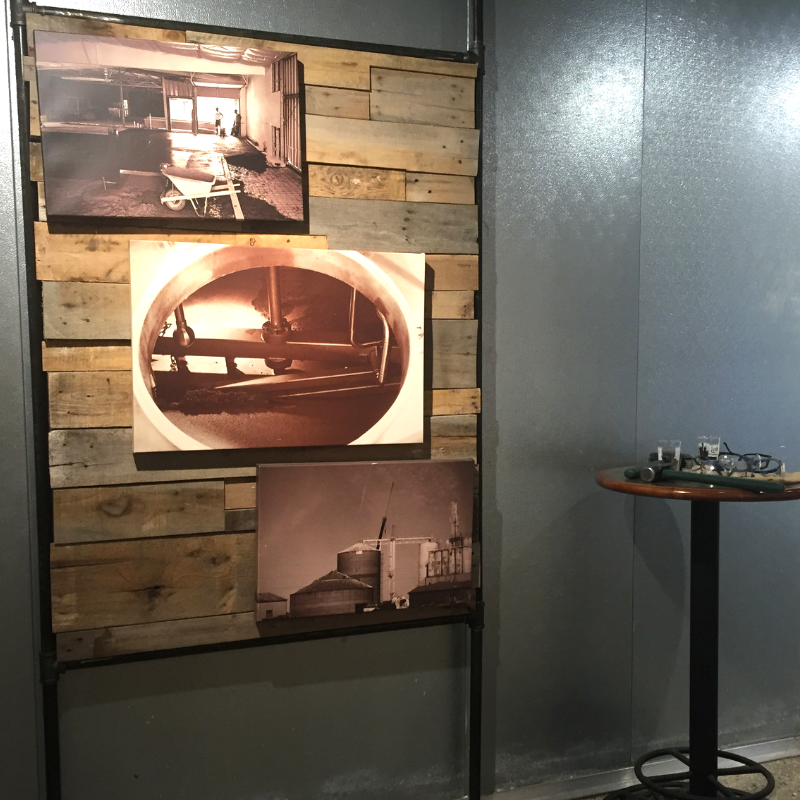 Throughout the taproom, bar games provide additional recreation. 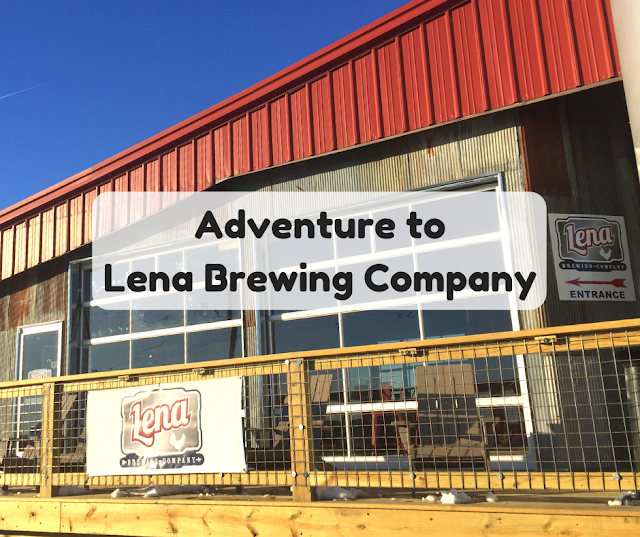 Also, we discovered informational elements about the history of the company and a variety of local artisans that have helped Lena Brewing Company in its journey. I think that is a great touch and shows Lena's commitment to the community. Additionally, Lena has a promotion that helps raise money for the local firefighters. I love companies that are about more than themselves or their products. This may sound funny, but the bathroom is worth exploring. 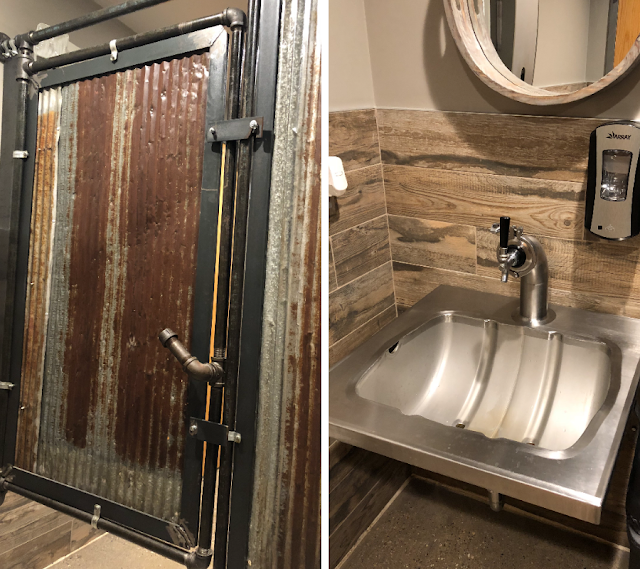 The bathroom has elements not only nodding to the brewery itself but also the industry of the area. Really interesting and there is some information about local makers that helped in the construction. There are tours on Saturdays and Sundays at 2PM. Guided tours will take you to the brewing and fermentation areas. 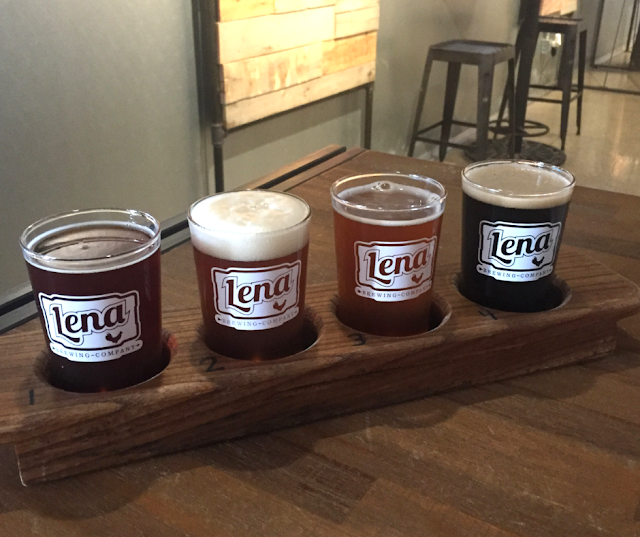 In addition, you receive 3 beer samples and a Lena pint glass. Tours are $10 per person. I sense a winter excursion in our future! I would call ahead just to be sure they running before driving in if you are coming from the suburbs and are set on a tour. However, we really enjoyed just sitting there and enjoying the beer. Relaxing before and after a relaxing drive! We LOVED Lena Brewing Company! We found the beer to be interesting and fun to taste. We enjoyed each of our samples and found them a bit different than other beers with a dash of frivolity. The atmosphere at Lena is relaxing just like you want for a little afternoon away. We look forward to another adventure and hope to pair it with a tour or a meal at Rafters next door.